The rainbow is a compelling spectacle in nature — a rare bridge between subjective experience and objective reality, and no less remarkable as a cultural phenomenon. A symbol of the Left since the German Peasants' War of the 1520s, it has been adopted by movements for gay rights, the environment, multiculturalism, and peace around the globe, and inspired poets, artists, and writers including John Keats, Caspar David Friedrich, Edgar Allan Poe, and Nathaniel Hawthorne. The scientific 'discovery' of the rainbow is a remarkable tale that takes in ancient Greece and Rome, medieval Persia, and Islamic Spain. Rainbows have also been regarded as ominous or even dangerous in myth and religion, while the twentieth century saw their emergence as kitsch, from the musical film version of The Wizard of Oz to 1980s sitcoms and children's cartoons. 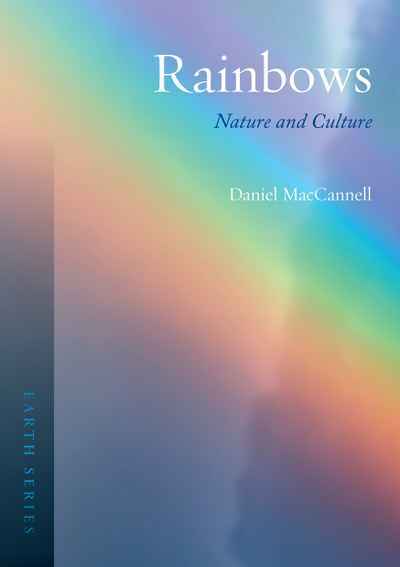 Daniel MacCannell's enlightening and instructive guide to the rainbow's relationship with humanity is the first book of its kind. It describes what rainbows are and how they work, how we arrived at our current scientific understanding of rainbows, and how they have been portrayed in myths, the arts, politics, and popular culture.